Join us for another fun day! Please email social@pcnsw.com.au if you have any dietary requirements. Book now as numbers are limited! 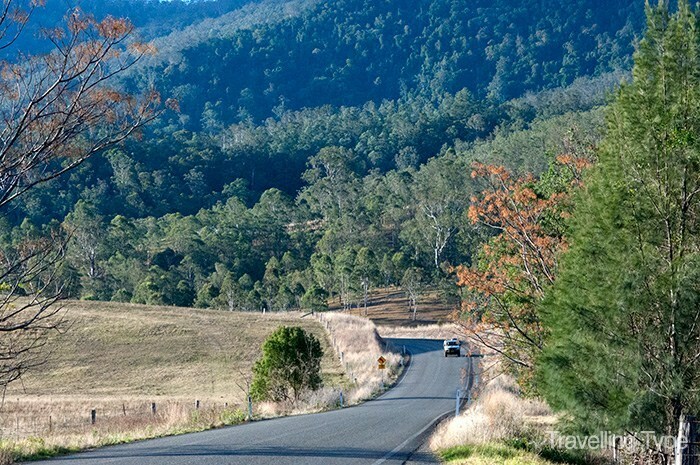 Our gourmet adventure will take us via the scenic twisty roads of Wollombi finishing at Hunters Quarter Restaurant in the Hunter Valley. Here we will reward our taste buds with lunch prepared by Brian Duncan and his team. So reward yourself and your Porsche and join us on our gourmet adventure. Where: Hunters Quarter Cockfighters Ghost Winery Pokolbin. Meet: Cowan Rest Area Truck Stop 9.30am for 9.45am departure. Cost: $70pp includes your choice of entree & main or main & dessert. 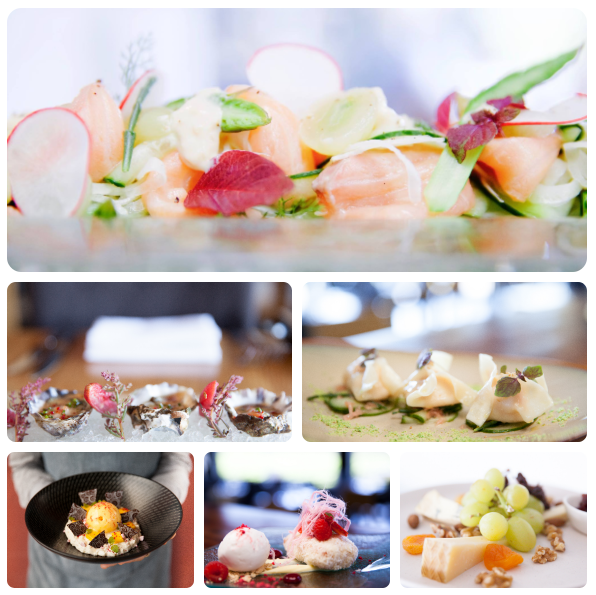 Each course has 2-3 menu choices so you can create your own gourmet lunch experience. Lucky door prize on the day! Contact Michelle on PH: 0422813001 or Email: membership@pcnsw.com.au if you have any dietary requirements. Reserve the date for our winter weekend drive for 2019. Book your accommodation ASAP, this is the first weekend of the school holidays. This event will embrace good driving roads on both Saturday and Sunday and will include mountain passes, sweeping rural valleys, open country stretches, quaint towns & villages and some highways. All this, coupled with good accommodation and fully catered dinners on Saturday & Sunday nights, will make an opportunity for a nice winter escape with other enthusiastic club members. You may wish to forgo the Sunday drive and head back for Monday work, our first night (Saturday) is at Batemans Bay, affording a comfortable drive home. For Sunday, we are planning a reasonably long drive to Canberra, however flexibility to shorten the drive does exist. Day 1 – Saturday. The planned start is our regular Bunnings at Casula, through some MacArthur countryside then down through the Illawarra, up Macquarie Pass and back down the escarpment for a lunch break at Kangaroo Valley. Choose from cafés or the Friendly Inn Pub. Then we continue down to the coast road, detour away from Nowra’s frustrating industrial precinct roundabouts before getting back onto the Princes Hwy and down to our 1st night at Batemans Bay. The QT have offered us a group discount. Saturday & Sunday - $140 per person. Saturday Only - $67 per person. Additionally we have enhanced the event with a number of non-judged categories, Cars for Sale for those that wish to sell their car, Race Car Display to allow the competition biased members to proudly show their car, and Treffin allowing members to simply park their car in a safe location that is in effect also is on display without being judged. This year we have added a Secure Flexible parking facility that will allow members to arrive and leave during the event. Throughout the day there will be a roving commentator interviewing participants about their association with the club and asking questions relating to their car and its history. After last years record number of attendees we encourage all members to bring out their Porsche's from all facets of the club to gather in one place and share all this event has to offer. We have received numerous suggestions from members that a mid-week drive would be a welcome addition to our regular one-day lunch drives and weekends away. Thus, we have organised a three-night September spring drive to take in the Hunter & Upper Manning Valleys, plus the lower New England, Mudgee and Bathurst regions. Mid-week allows us to avoid the normal heavy weekend traffic and avail ourselves to off-season accommodation packages. This social event will commence with an out-of-town afternoon or evening meeting point in the Hunter Valley, embrace good scenic country driving roads on both Wednesday & Thursday. All this, coupled with the best accommodation available, including breakfasts and fully catered first-class dinners, will make an opportunity for a great mid-week spring escape. This is a complete packaged event. Dinner, Accommodation and Breakfast for all 3 nights have already been booked and is all included in the price to be paid at registration. This is not a budget event, so, indulge yourself this spring with like-minded Club members while letting your Porsche loose. Basically, everything has been done for you, so no need to plan where to go, when to go, selecting where to stay and where to eat. 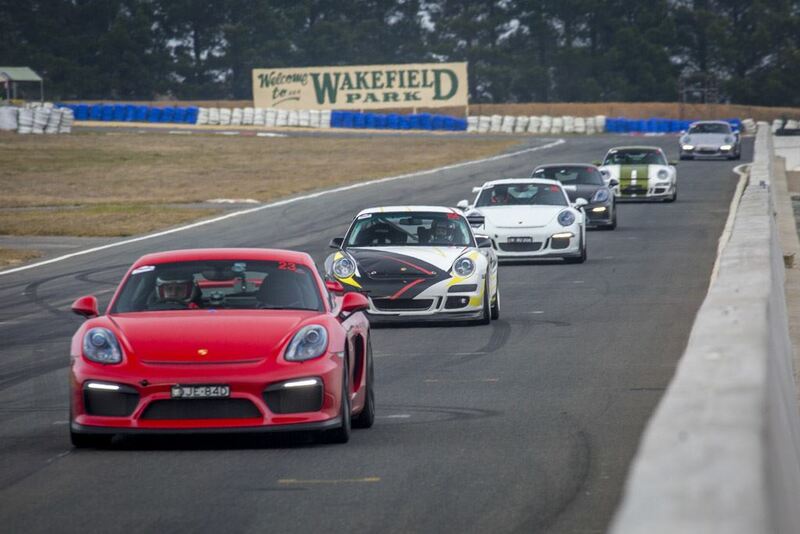 Just register & pay online then pack your bags, fuel up the Porsche and meet in the Hunter Valley. We are ‘testing the waters’ of this our 1st mid-week, multiple overnight stays event. 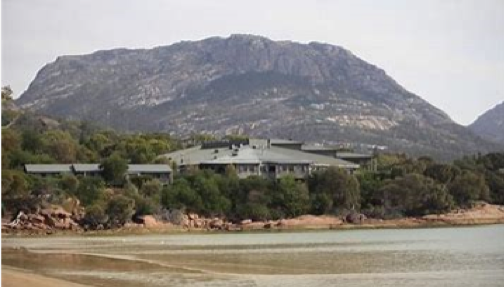 With the constraints of country accommodation and catering, it has been necessary to restrict participant numbers on this event to 16 couples (32 people). The club has booked and pre-paid 16 rooms at each venue plus 32 dinner guests.Therefore, the first 16 couples to register & pay for this event will enjoy what promises to be a wonderful few days. Registration closes 31st July or once all positions have been filled. Like our Motorsport brothers and sisters who compete at the Bathurst 6 Hour event over Easter, this event is restricted to Porsche vehicles only. Day 1 – Tuesday. 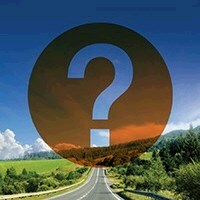 Make your own way from home to The Kirkton Park in the Hunter Valley, where your accommodation has been taken care of. Arrive any time after 2pm (check-in) and later meet in the bar before a complimentary pre-dinner wine tasting experience and then dinner in the Manor Garden. Day 2 – Wednesday. 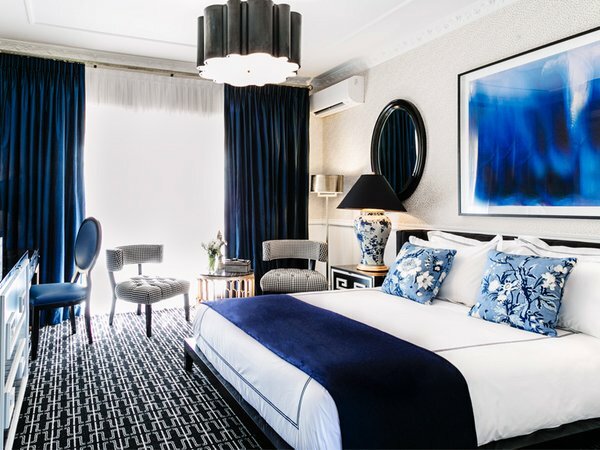 Following breakfast, we will meander north through the greater Hunter Valley before heading up Bucketts Way and through the upper Manning on Thunderbolts Way before our nightly rest at Tamworth’s Quality Hotel Powerhouse where King rooms await. A sumptuous three-course dinner will top off the day. Day 3 – Thursday. Again, we will be treated to a hearty country breakfast to set up our day. Some easy driving to Gunnedah, south to Mudgee and then on to Rydges Mount Panorama, Bathurst for our final dinner, bed and breakfast. Day 4 – Friday. You are free to make your own way home, or we can suggest several alternatives if your passion for driving has not waned. All three nights of luxury accommodation are part of the package included in the price at registration. Dinners on all three nights are part of the package included in the price at registration. Members will be able to purchase beverages at each venues bar. Lunch and other pit stops will be scheduled on the drive notes in towns with options of pubs, café’s, bakeries etc. Our route will not see numerous or high-quality eateries, so we encourage flexibility to meet your mood. Remember to leave plenty of room for your gourmet dinner. Cost is not included in the registration price. Breakfast for the 3 mornings is part of the accommodation package. To book contact Michelle Sahu-Khan PH: 0422 813 001. There is no online booking for this event. For more event information contact Garry Hobson PH: 0414 666 900. Tasmania has arguably the best Porsche Driving Roads in Australia, hence Porsche Cars Australia host a Targa Tasmania event every year. 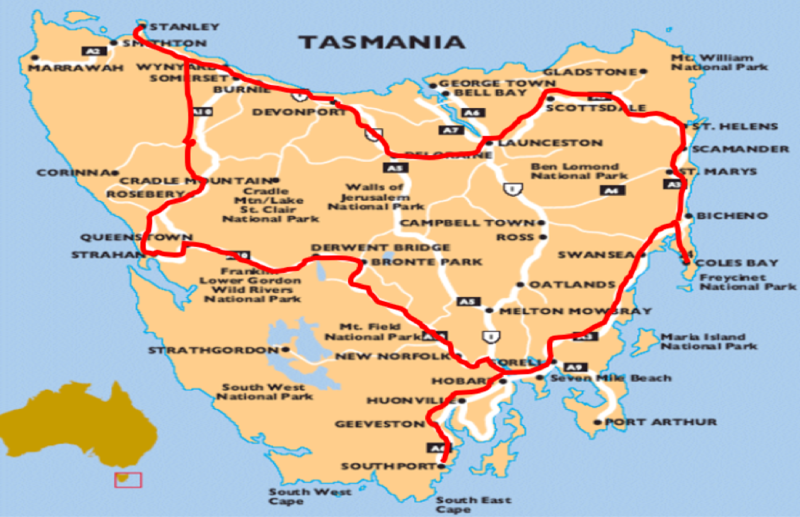 The chosen Drive route encompasses many of the same roads as Targa Tasmania. The drive offers stunning natural scenery, challenging twisty roads our beloved Porsche’s are designed for to enable a great driver’s experience. 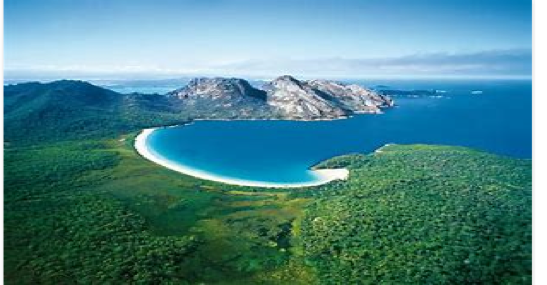 Tasmania offers spectacular natural beauty, delicious fresh seafood, which will be all complemented with high quality accommodation shared with your fellow club members over the 8 days of touring. The event is not only for the enthusiastic driver, time has been allowed for participants to enjoy all the delights of Tasmania. There is flexibility in the schedule, if you wish to extend your stay at one of our overnight destinations to soak up what’s on offer. If you wish to arrive in Tasmania before the main group, please feel free to do so. Simply join us in Devonport on the morning of the 7th or wave goodbye to the main group on the 13th to extend you stay. 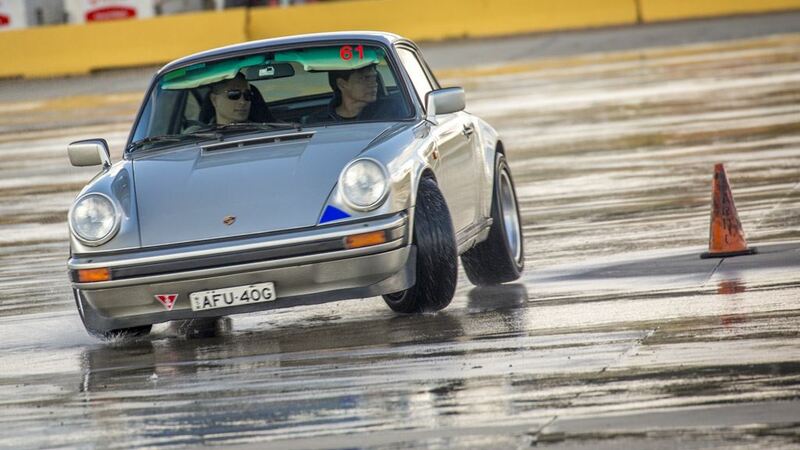 The reason for the expression of interest booking is to allow us to have an understanding of the level of interest in such an event which is a first for Porsche Club NSW. Please factor in a realistic budget for this event which I estimate to be approx. ($3300 per couple, $2900 single). This may vary slightly depending on numbers. Hotel bookings and Ferry Crossing will be made by members based on our negotiated package rates. On Wednesday Evening the 6th November we board the Spirit of Tasmania in Melbourne to enjoy a leisurely over night cruise to Devonport. Members may wish to travel together to Melbourne or make their way independently. I am also investigating premium transport options if you don’t wish to Drive to Melbourne saving time or putting the extra K’s on the odometer. Day 1 Disembark in Devonport, drive to Stanley for morning tea, make our way to Cradle Mountain for Lunch, then a quick sprint to Strahan to settle in for the night. Reservations (03) 6471 4200 Booking Code Porsche Club NSW. 7th November. Day 2 Leave Strahan and drive to Lake St Clair for a leisurely lunch stop. From Lake St Clair we make our way to the Grand Chancellor Hotel in Hobart to settle in for the next 3 nights. Reservations (03) 6235 4535 Booking Code Porsche Club NSW. 8th - 10th November. Day 3 Free time in Hobart to enjoy the local attractions like Salamanca Market, Mona, Mt Wellington to name a few. 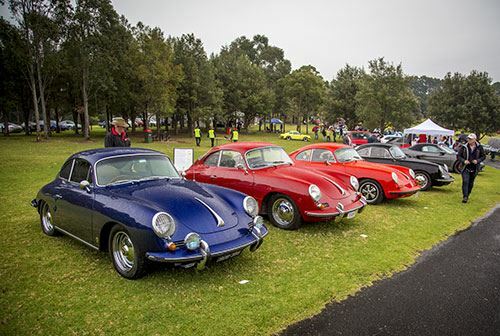 Saturday night we will host a joint dinner with the Tasmanian Porsche Club. Day 4 Joint Drive with the Tasmanian Club members who will share some of their favourite driving roads heading south to the Huon Valley allowing us to enjoy more Tasmanian attractions and driving experiences. Day 5 Leave Hobart to make our way to Freycinet National Park where we will stay at the coveted Freycinet Lodge which is a stunning destination to pamper yourself and enjoy many unique local attractions. Reservations (03) 6256 7222 Booking Code PorscheNSW. 11th November. Day 6 Now we leave for Launceston taking in the famous Elephants Pass along with equally great driving roads before stopping for our final night in Tasmania at the Launceston Country Club. Reservations (03) 6335 5777 Booking Code Block ID 1076444. 12th November. Day 7 After spending time in Launceston we will drive the final part of our adventure to board the Spirit of Tasmania in Devonport before sailing back to Melbourne. If you require more details, please don’t hesitate to contact me. Accommodation payment at time of stay so book early. 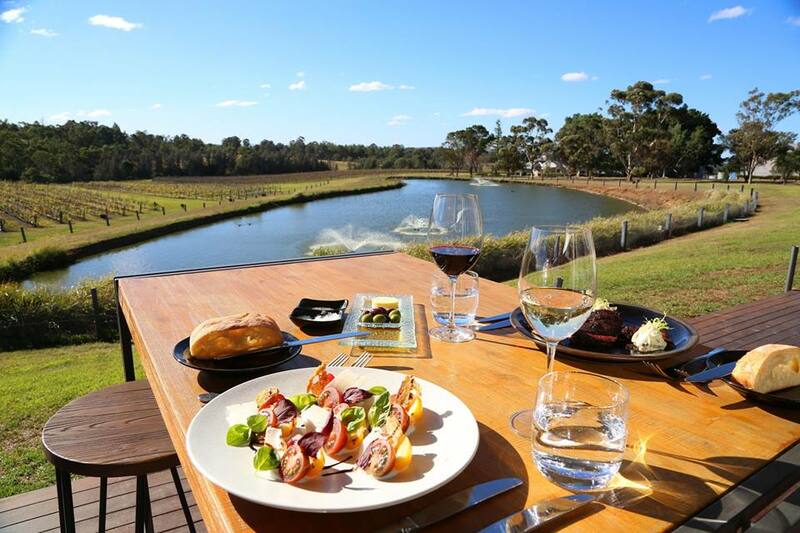 13 Jul 2014 Lunch Drive Windsor to Camden Italian Lunch experience via Wollondilly Heritage Centre & Museum. 16 Feb 2014 Lunch Drive Graphics Arts Club, Mascot via Grand Pacific Drive to Wollongong & Cliff Hanger on Bulli Tops. 10 Dec 2013 Club Night: John Young, reporting on the Silverstone Historic Meeting of August 2013. 28 Sep 2013 “Wanna Dance” Give it a Go Night.